It has been 15 years since Frontiers first partnered up with Jeff Scott Soto on a release and in celebration of that anniversary, Frontiers Music Srl will release another new album with Jeff on November 10th, titled “Retribution”. We had a listen to it to see if it’s worth spending your hard earned cash on. The album starts off with the high octane intro for the title track, “Retribution”, which is quite a heavy melodic rock song with some occasional prog influences and some excellent drumming by Edu Cominato, and a pretty electrifying guitar solo from Howie Simon at around the 2:20 mark. Track 2, “Inside Outside” is a good song and also the first song from “Retribution” to get a video. I won’t say much about it, instead I’ll just embed the video further down so you can make your own mind up. Track 3, “Rage Of The Year” is without doubt one of my favourite songs on the album. It hits hard, it hits fast, its catchy, Jeff Scott Soto sounds great, and Howie Simon is on fire on guitar. The rhythm section shines here too, especially Edu on drums. While I was listening to this album for the first time I actually went back and listened to this song several times in a row. “Reign Again” was another of my favourites here, it’s a slower paced song compared to some of the others, but definitely put me in mind of cruising down the highway, with a real feel good factor and catchy chorus. This is one of only 2 songs on the album without Howie Simon on guitar and bass, instead the guitars are by August Zadra (Dennis DeYoung band) and Stephen Sturm with bass by Carlos Costa. “Feels Like Forever” is the album’s first power ballad, and carries a lot of emotion in Jeff’s heartfelt vocals and Howie’s soaring guitars. Check out the official video for that further down. “Song For Joey”, the albums second ballad, see’s Paulo Mendonça on keyboards, guitar and bass. This is a softer song than “Feels Like Forever”, but no less powerful for that. “Retribution” then picks up the pace with “Breakout”, a track which combines a fast pace with guitar solos, melody, and a heavy undercurrent that suits Jeff’s vocal style. “Dedicate To You” follows next. It’s a good, upbeat song, which is carried by Jeff’s vocals and Howie’s guitars. It’s another that I can definitely imagine listening to while driving. “Autumn” brings the album to a close. The third ballad on “Retribution”, this is an acoustic song which allows Jeff’s vocal talent to shine through, and is a nice way to wrap it up. Verdict: 9/10. One of the unmissable albums of 2017. Jeff Scott Soto and Howie Simon are both on excellent form. There is a lot of guitar driven songs here, a few heavier tracks which are nicely balanced by the the ballads on the album, and plenty of feel good and catchy songs. I really, really enjoyed this and would highly recommend it for fans of Talisman, SOTO, Eclipse, W.E.T., Pink Cream 69, House Of Lords. It may even make our Top 5 of 2017 list. 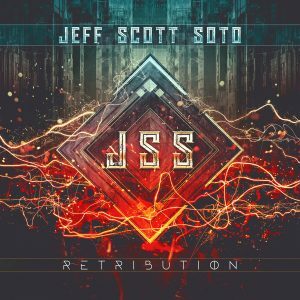 Jeff Scott Soto “Retribution” will be out on November 10th via Frontiers Music SRL. Continue reading for more info, including music videos from the album, details about Jeff Scott Soto’s career, tracklisting and more. Jeff Scott Soto’s prolific career spans over thirty years. He was first introduced to the public as the vocalist for guitar virtuoso Yngwie Malmsteen’s iconic first two solo albums before going on to front esteemed hard rock band Talisman. Around that time he also sang for Axel Rudi Pell across a total of 6 albums. He is also one of the vocalists for the wildly popular Trans-Siberian Orchestra, the lead vocalist for supergroup W.E.T. 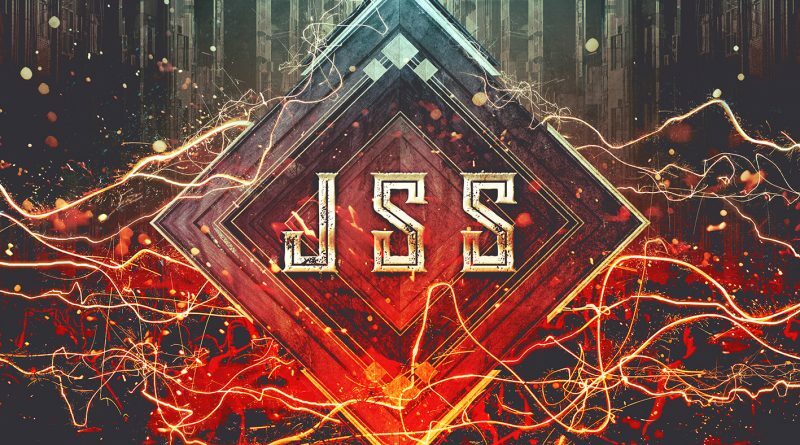 (featuring JSS alongside Erik Mårtensson of Eclipse and Robert Säll of Work Of Art, the bands name was based on their bands, Work Of Art, Eclipse, and Talisman), and creative visionary for the more metal leaning SOTO, among many other musical activities he has been involved in. He also held a stint fronting Rock N Roll Hall Of Famers Journey and was one of the vocalists for the officially sanctioned Queen tribute, Queen Extravaganza. He fronted Takara, Human Clay, and Humanimal, and more recently the supergroup Sons Of Apollo (with Mike Portnoy, Billy Sheehan, Derek Sherinian, Jeff Scott Soto and Ron “Bumblefoot” Thal). His incredible voice has led to many an artist inviting him to do guest lead vocals or background vocals on their albums, including, but not limited to, Stryper, Joel Hoekstra, Saigon Kick, Fergie Frederiksen, Lita Ford, Steelheart, and more. In 1994, he released his first solo outing “Love Parade”, followed by the acclaimed “Prism” (2002), “Lost In The Translation” (2005), “Beautiful Mess” (2009), and “Damage Control” (2012). “Retribution” is his sixth proper solo studio album.